Hello and welcome to exampundit. 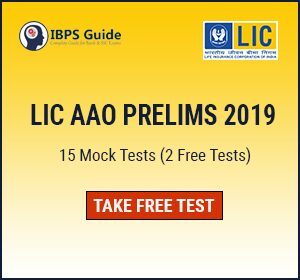 Here is a set of Quantitative Aptitude Quiz for SBI PO and LIC AAO Prelims 2019 on Ratio & Proportion Problems. 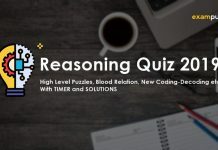 Along with Reasoning, We will be providing good level Quantitative Aptitude Problems. Quantitative Aptitude needs a lot of practice and calculations. 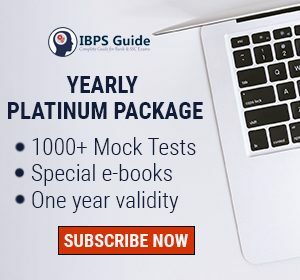 We have already given you an article on How to Score Maximum in Quantitative Aptitude. 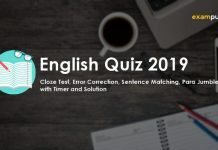 These Quantitative Aptitude quizzes will help you get past SBI PO Prelims and LIC AAO Prelims 2019. 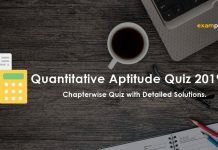 The following Quantitative Aptitude Quiz has 10 questions from Ratio & Proportion with 8 minutes. 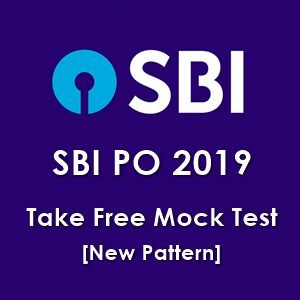 The following questions are created as per the recent trends and level of SBI PO Prelims 2019. The ratio of marks obtained by P & Q is 8:7. 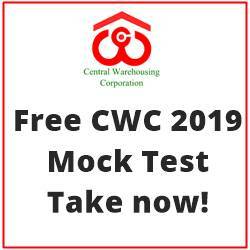 If the combined average of their percentage is 52.5 and their sum of marks is 525, find the maximum marks for the exam. Let the maximum marks is x.
Rs. 558 is divided among three brothers Sanju, Birju, Makhon such that 12 times Sanju’s share is equal to 6 times Birju’s share which is equal to 8 times Makhon’s share. How much Sanju got? Therefore, Sanju’s share is 2/9*558 = 124. The monthly salaries of two persons in the ratio 8:9. If each receives an increase of Rs. 20 in the salary, the ratio becomes 25:28. Find their salaries. The ratio of incomes of A and B is 7:3 and ratio of their expenditures is 9:4. If B saves one-fifth of his income, find their ratio of savings. Some apples are to be distributed among some boys. If two more apples are available, each boy gets six apples. If five less apples are available, each boy gets five apples. How many apples are available? 625 ml of a mixture contains milk and water in the ratio 3:2. 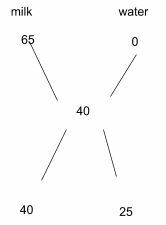 How much more water is to be added to get a new mixture containing milk and water in the ratio 5:4 ? Age of P is fourteen times that of Q. After 6 years, P is eight times elder to Q. What is the present age of Q? Pure milk costs Rs. 65 per litre. After adding water the milkman sells the mixture at the rate of Rs. 50 per litre, thereby making a profit of 25%. In what ratio does he mix the two? The ages of A and B are in the ratio of 4:9 respectively. After 9 years the ratio of their ages will be 1:2, what is the difference in their ages? Difference = 9x-4x= 5x = 5*9 = 45 years. Divide Rs. 2850 into three parts, such that first part be double that of second part and second part be ⅓ of the third part.Find the Third part amount? 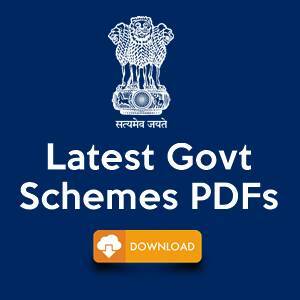 We are covering all the important Govt Schemes. Check them out from here.